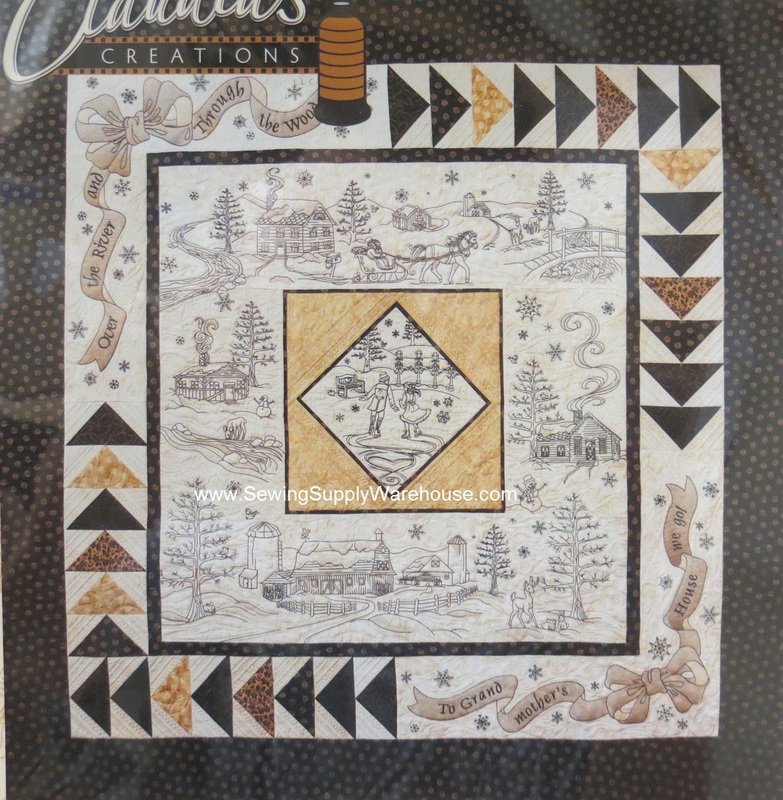 Another gorgeous project from Claudia's Creations. Through the Woods depicts the cherished childhood memories, celebrating life and families together during the holidays and various wintery scenes. Finished size 60" x 60". CD includes the following formats: art, dst, exp, hus, jef, pes, vip, & vp3. See image(s) for additional information. Click to enlarge--browser back button to return. Larger image of the project HERE.